As a walking golfer, I’ve been a big fan of TRUE since the beginning. 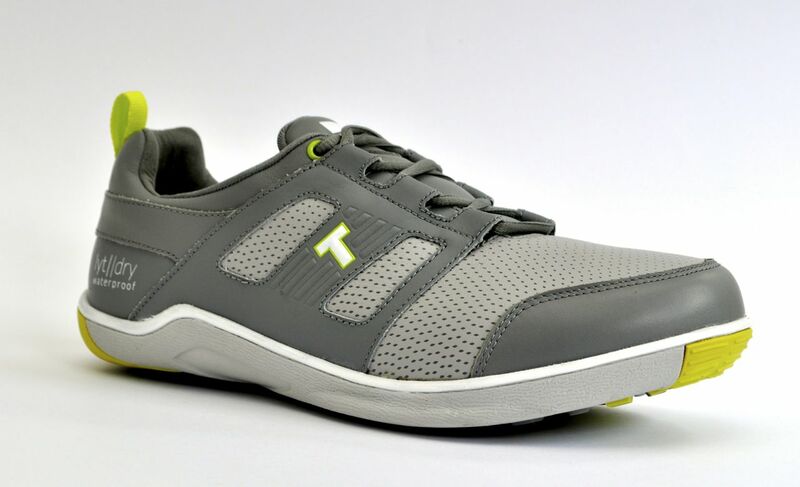 I trust that TRUE will delivery and I know that I can count on to get a great pair of shoes that will be comfortable and capable on the course. The company has aggressively pursued style variations and made constant iterations to their lineup to keep things fresh and interesting year-after-year. While the initial line was frequently ridiculed for the look, the company built a loyal base of customers that have stayed around. I’ve personally owned 12 pairs of TRUEs over the years and fallen in love with almost every pair. TRUE took a progressive turn this year in the styles for some their new lineup. All of the shoes are still true to their zero-drop platform although the visual style and materials vary quite a bit from what the company has offered in the past. For this year, I’ve tested the TRUE lyt dry, TRUE lyt breathe, TRUE gent wingtip, TRUE vegas, and the TRUE oxford (we’ve previously done reviews on Fresh for the TRUE proto, TRUE sensei, and TRUE tour). For the purposes of the extensive testing for this article, all of the shoes have been worn over many rounds. Many of the shoes are approaching 30 rounds and all of have been reviewed over a minimum of 10 rounds. This is where TRUE really shines. 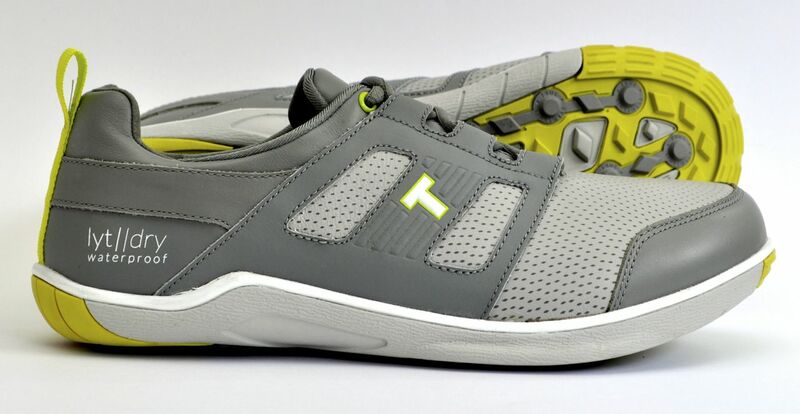 The zero-drop characteristics of the shoe make them excellent and a real pleasure to play golf in. All of the shoes rank near the top in comfort across the entire category of mass market golf shoes. I’ve recently moved away from playing in socks and I’ve noticed an even deeper comfort with the TRUEs this year when playing without any socks at all. With the exception of the TRUE lyt dry, all of these shoes are more comfortable without socks. Of the newly tested shoes, the TRUE oxford wins in terms of being the most comfortable. The comfort level of the TRUE oxford feels very similar to the TRUE tour. The TRUE lyt breathe and TRUE gent wingtip are both very comfortable with the TRUE vegas and TRUE lyt dry dropping off a bit on the comfort scale. The TRUE vegas has a tendency to have the side leather crease and the TRUE lyt dry has a noticeable issue with digging into the Achilles area. The vegas is occasional and bearable while the lyt dry is a very common and persistent problem. While TRUE boasts some incredible quality in their designs, the same is tough to say for their materials and construction. While some models are much better than others in these categories, these are not heavily crafted shoes. The quality of the materials is similar to what you would see in off-brand sneakers that you would buy from a mass market retail store like Target. With any of these shoes, the lifetime is going to be less than what you would get from most of the major golf shoe manufacturers. Coupled with the fact that most TRUE customers are walking golfers and many play often – it’s fair to assume that if you’re a few-times-a-week golfer, then you can likely go through 2 or 3 pairs in a season. On the plus side, that gives you the opportunity to swap out styles every so often and although they wear quickly – they also wear comfortably. The biggest disappointment to me in the new lineup is how quickly the soles wear on most of these new shoes. In particular, the TRUE vegas was showing visible signs of wear after only a few rounds. I do believe that TRUE has a significant opportunity to create a premium line with shoes that built with better materials and significantly better leather. The barefoot platform and general designs are solid and the prices of the shoes are very reasonable. I would personally be prepared to pay double and maybe triple the dollar amount for much better materials. There’s no doubt that TRUE has a solid lineup of shoes that are especially attractive to those that walk the majority of their rounds. While durability appears to be an issue, the comfort of the majority of the styles are great while they last. You can always pick up a few pair to last you through the year and the price point of all of the shoes reviewed are very reasonable. Also, be sure to check out the Proto, Sensei, and Tour reviews for in-depth reviews of some of the other TRUE styles from previous years that are still available. I too am a big True fan. This year I have been wearing the Lyt Dry and Gent Wingtip a Ton. The wingtip are my favorite overall pair as I think they look super cool and comfortable. I walk about 80% of my rounds and have had no issue with the comfort or digging with either the Lyt Dry or the Wing Tip. The Oxford is the other pair I wear a lot (but not on the course). NOTE: I wear either Kentwool or Swiftwick wool socks so that might help. Not sure I could do the barefoot thing. In terms or tread durability, the Lyt dry and Oxford definitely are wearing out faster than the older models. For example, the Gent Wingtip has the old style nubs and they seem to be holding up pretty well. I got all three pairs of these shoes in late march and expect to wear them at least through September which is fine for me but I know lots of guys expect a full 12 months of wear.